On June 2nd the Old Main Street School building in Athol found a new use. The Athol Bird and Nature Club packed the Millers River Environmental Center hall for an extraordinary evening of music on harpsichord, classical guitar and piano. Ms. Deborah Nunes on the keyboards and Mr. Carl Kamp on guitar filled the hall with a well chosen array of selections for two instruments seldom heard together. The striking deep red, old ivory and gold harpsichord was made available by the venerable Mr. Allen Hastings. It is difficult to clearly describe the warmth and intimacy of the event. The room in the midpoint of renovation, the subdued lighting, the parlor lamp over the harpsichord all set the stage for a very comfortable venue. So close was the expressive face of Ms. Nunes and the calm concentration in the face of Mr. Kamp, that we were all drawn in. Much like a parlor might have felt in the times of Handel, Bach or Carl Maria Von Webber. The room rang with applause. Intermission and the gathering after the performance were enhanced by the infamous Jan Borden’s confections and Chris Jackson’s Swift River Coffee. Nothing can quite compare with the performance of two skilled and talented musicians in the midst of an appreciative audience. 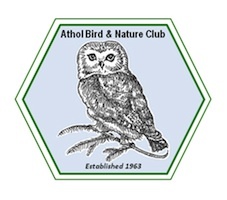 No less important was the building and it’s focus on the natural wonders around Athol. Mr. Kamp invited the many first time visitors to MREC to return and take advantage of the numerous programs available at the center, then attempted to end the evening with a strong and robust interpretation of Ferdinand Carulli’s Sonata op. 21, no. 2. Applause brought them back for a light hearted, humorous encore. Similar events are being planned for the future. Many thanks to Earl Baldwin for this review and our deep appreciation to Carl Camp and Deborah Nunes for a wonderful, memorable evening of classical music.